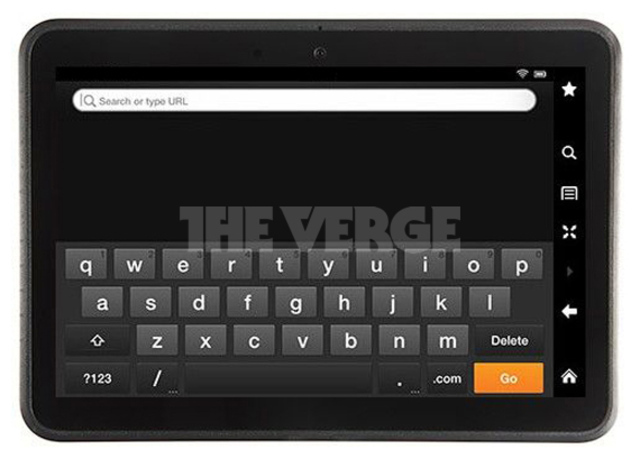 You may be looking at the brand new Kindle Fire. According to a report out of The Verge, this is the device (or one of) that Amazon will unveil next Thursday. There aren’t many details to accompany the image above, but you can see that the custom Amazon skin is present and that a front camera is housed at the top. Other than those two things, the rest is a mystery. It’s probably safe to assume that even if they do deliver both 7″ and 10″ tablets, that they’ll remain at reasonable price levels. Now that the original Kindle Fire is sold out, Amazon is going to have to fill the $199 space in the tablet industry that they created. The real question then becomes, “How much will they charge for a larger model?” Any guesses?